Taizo-in was built in 1404 and the oldest of the forty sub-temples at Myoshin-ji. 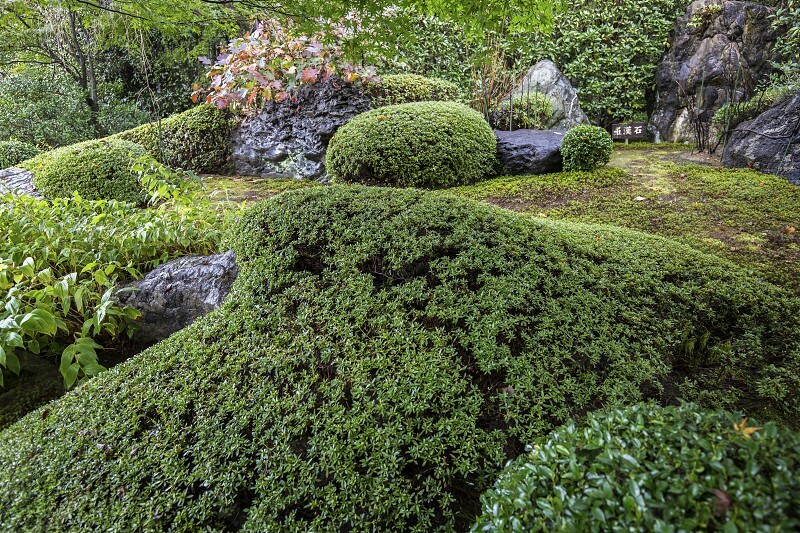 Taizo-in has three unusual gardens. The first garden to visit is Motonobu Garden next to the Hojo abbot's quarters - it is a classic dry landscape garden made of stones, satsuki, bamboo and white sand. The second Heaven and Hell Garden is organized around a large weeping cherry tree that looms over the paths going left and right. To the right is a small stone garden made of black sand and pink stones. To the left of the cherry tree is another dry landscape garden, with white sand this time. The paths around the cherry tree merge later, but it's worth trying both. Finally, Yoko-en is a modern design created in 1963 and very different from the previous ones. Yoko-en is built on a slope with a waterfall with large expanse of satsuki bushes. The lower part of the garden is occupied by a pond and a rest area covered by a wisteria or fuji in Japanese.